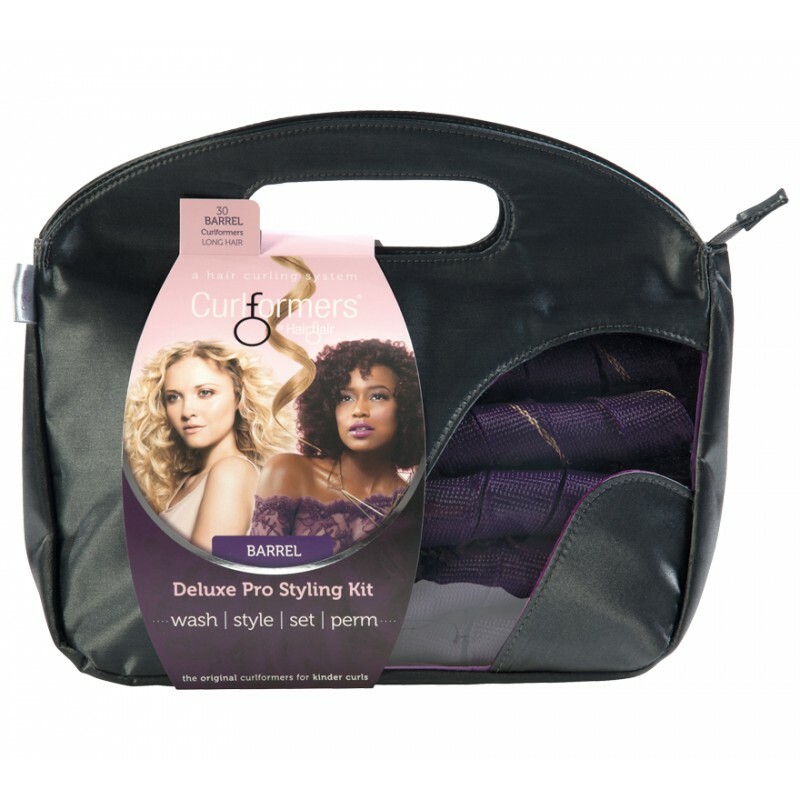 If You Have Hair Up To 16″ Or 40 Cm, The Long Styling Kit For Barrel Curls Is Everything You Need To Easily Create Glossy, Smooth And Healthy Curly Hair Every Time. 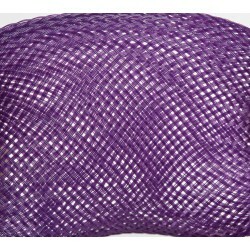 Perfect For All Ages And All Hair Types, Including Black Hair, Naturally Curly Hair, Frizzy Hair, Wigs And Weaves. Best Of All, Curlformers Are A Completely Heat-Free Hair Curling Solution So Won’t Damage Your Hair No Matter How Many Times You Use Them. 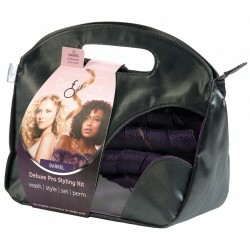 Packed In Our Luxury, Dark Silver, Satin Vanity Bag Take Curlformers Anywhere To Create Salon Quality Curls-On-The-Go. 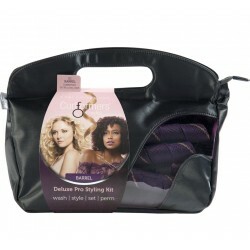 Each Kit Includes 30 Barrel Curlformers In 2 Colours: 15 Dark Purple For Clockwise Curls And 15 Dark Purple With A Gold Strip For Anti-Clockwise Curls.